Includes one color imprint on label wrapped around assorted color popper. Poppers are labeled with warnings for safe use. 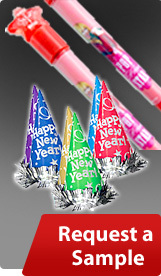 Special Note: Party Poppers are illegal in some areas. 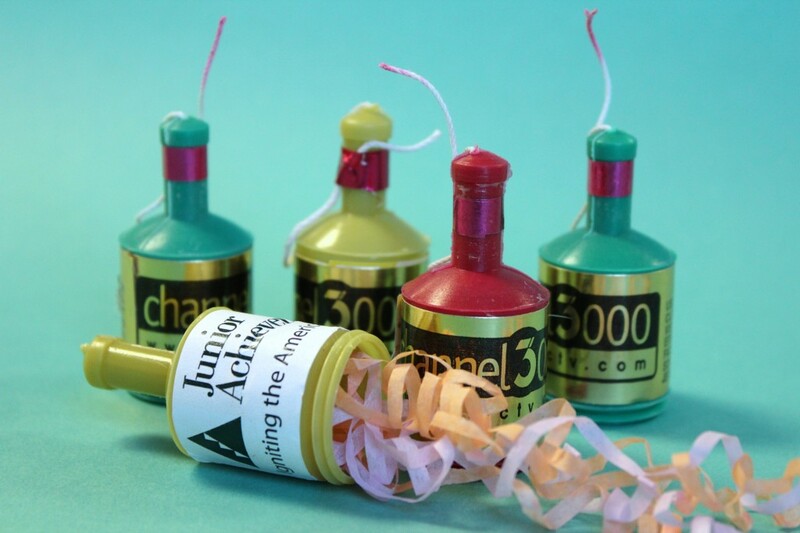 Poppers contain a small amount of gun powder.